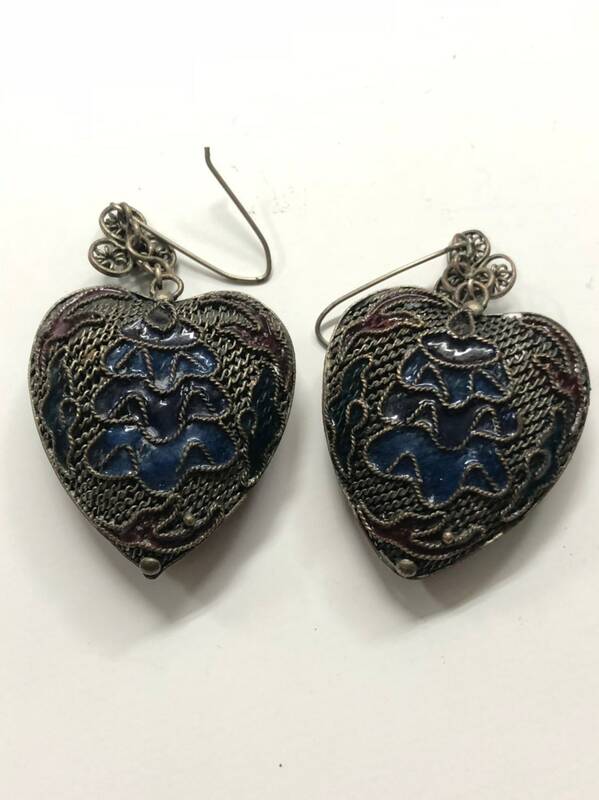 For sale here is a pair of Chinese filigree silver and enamel heart shaped dangle earrings made in silver and polychrome enamel. Great gift for an adoring wife or girlfriend. Weight is 15.7 grams. Condition is good. Heart is 29 x 33mm.